FORMAT: 18 holes of stroke play for qualifying rounds. 54 holes of stroke play for championship with a cut to the low 32 scores and ties following round two. The championship will be limited to 78 players. See schedule below. B. Golf professionals and apprentice golf professionals in good standing with their respective PGA Sections. C. Amateur golfers with a Handicap Index® not exceeding 6.4 strokes. A Handicap Index® issued by a WPGA Member Club is required for entry. Amateur golfers without a Handicap Index® issued by a club licensed by the WPGA will be directed to an existing WPGA Member Club or an Association-sponsored Type 3 Golf Club. If a player is in doubt to their eligibility for the championship, please contact the Association office. CONTESTANTS MAY ENTER ONE QUALIFYING ROUND ONLY. A. Monday, July 16 – 18 holes of stroke play. B. Tuesday, July 17 – 18 holes of stroke play. C. Wednesday, July 18 – 18 holes of stroke play for the low 32 and ties, or anyone within seven strokes of the leader after 36 holes. PURSE/PRIZES: A trophy will be awarded to the winning player, runner-up and low amateur. Prizes will be awarded to amateurs in the top 20 and the professional purse (minimum $27,000) will be distributed to all professionals making the cut. Prizes for amateurs will consist of credits in the hostvclub’s golf shop. The Open Championship is a WPGA Honor Roll and Palmer Cup Team points event. Please see the Honor Roll Center for applicable points table. *Amateur exemptions awarded must retain amateur status. FUTURE EXEMPTIONS: Next Ten West Penn Opens – Champion. Top Ten & Ties/Low Amateur & Any Amateur in Top 10 - 2018 West Penn Open. ENTRIES (Form, Fee, Closing Date): Entry and fee of $180.00 (Amateur) or $230.00 (Professional) must be submitted to the Association by 5:00 PM EST by Friday, June 15, 2018, to be considered. Entry fee includes range Fee, locker fee, prizes, trophies and lunch. Carts are permitted during qualifying rounds only, and cart fees are included in the entry fee. Online registration – Players must enter online on the WPGA website. Players must have a valid e-mail address and a WPGA account to register online. 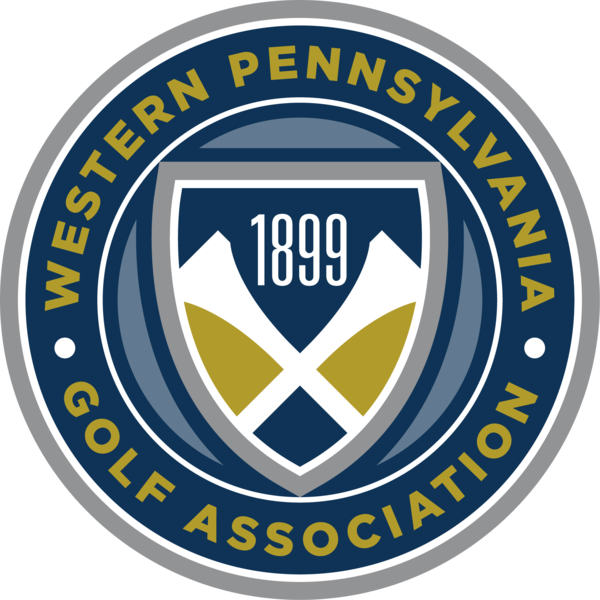 Player accounts can be created on the WPGA Player Registration Portal, by contacting the WPGA office at 412- 826-2180, or by email. Online entries may be paid by Visa, MasterCard, or Discover Card. American Express is not accepted. Additional registration options – Entry forms will only be accepted in person at the WPGA office. Make check or money order payable to Western Pennsylvania Golf Association. Entries will not be accepted via telephone or fax. Late entries will not be accepted. PRIZES/PURSE: A trophy will be awarded to the champion, runner-up and to low-amateur. Prizes/Purse will be awarded to all players who make the cut. The Open Championship is a WPGA Honor Roll and Palmer Cup Team points event. Amateur prizes will consist of credits in the host club’s golf shop. A. Players must walk for the championship proper and may bring their own caddies or carry their own bags during the championship. Carts are permitted during qualifying rounds. B. It is a condition of competition that shoes with traditionally designed spikes, regardless of composition, or spikes comprised either entirely or partially of metal, regardless of design, are prohibited during the championship. C. Play will be governed by the USGA Rules of Golf, conditions stated on the WPGA Rules of Play card, and other Local Rules as posted. D. Proper attire is mandatory in all phases of the championship. Shirts with collars and sleeves are required. Shorts of Bermuda length or longer are acceptable. E. A tie for first place shall be decided immediately upon completion of play with a hole-by-hole playoff. F. Players falsifying a Handicap Index may be subject to indefinite suspension from WPGA Championships. G. Starting times and other information will be available on the WPGA website approximately one week before the championship. Players unable to retrieve starting times should call the WPGA office (412-826-2180). I have read and understand the entry requirements and championship regulations. I agree that there are certain risks inherent in golf and accept personal and sole liability for such risks including but not limited to health risks. This entry is subject to rejection at any time (including during the Championship) by the WPGA. The reason may include unbecoming conduct. The WPGA may reject an entry application, revoke an accepted application, expel from a Championship and/or suspend a player from future championships if the player engages in conduct detrimental to the integrity and image of the game of golf and/or public confidence in the WPGA. Such conduct may include but is not limited to, damage to the golf course or the players’ equipment, verbal or physical abuse of spectators,officials, volunteers or staff, blatant and excessive profanity, disorderly behavior, failure to abide by club/course rules or any other unbecoming conduct. Responsibility for ensuring entry is received by the WPGA prior to the specified deadline is mine alone and that this application may be automatically rejected by the WPGA if received by after such date and time. Risk of delay or error in transmission is solely with me and that the WPGA has no liability with respect to any such delay or error and the consequences therefrom, including the entry not being accepted. Any player under 18 years of age must have a parent or guardian agree to the WPGA terms and conditions for minors before their application will be accepted. Parental consent can be done by checking the appropriate box during online registration. If you need additional information, please contact the Association office (412-826-2180).